Since the 1980s, the Ironbound area of Newark, NJ has been the site of one of the largest garbage incinerators in the Northeast region. The community fought hard to stop the siting of this facility in the neighborhood, mobilizing thousands of people in New Jersey and New York. We beat 3 but ended up with the one. Also due to the intense, sustained struggle by the residents of the Ironbound, the original NJ state plan to install an incinerator in every county of New Jersey was halted. The incinerator is owned by Covanta, a multinational corporation with incinerators all over the world. Major shareholders include the NY/NJ Port Authority. The incinerator burns nearly 1 million tons of trash each year, only a small amount of which is produced by Newark. Over half of the waste burned at the site is brought in from Manhattan. Most of the rest comes from towns in northern New jersey, all of which are more affluent and less polluted than Newark. 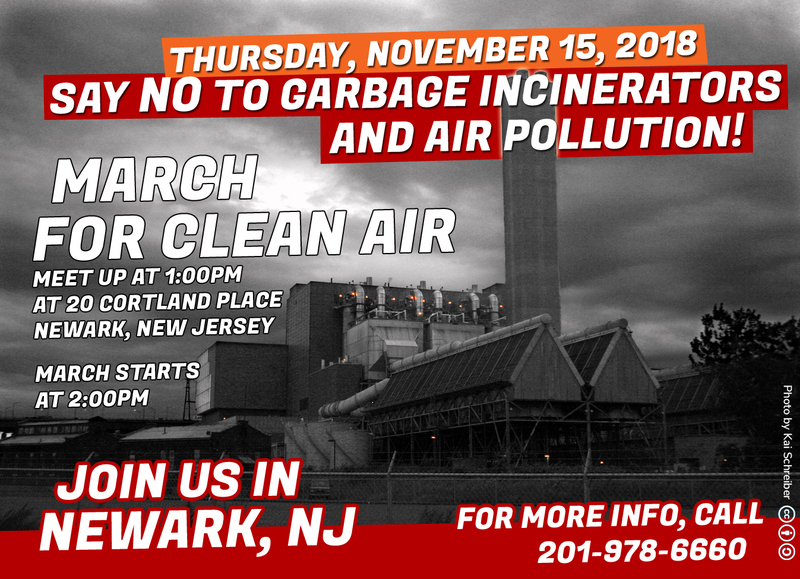 In this sense, the incinerator perpetuates Newark’s position as a “sacrifice zone,” which bears the brunt of pollution for more affluent, cleaner municipalities. The incinerator emits lead, mercury, pcbs, and dioxin into a neighborhood that is already overburdened with industrial pollution. Newark has an asthma rate of 25 percent.